Last week I was grateful to have participated in the Missouri Conferences pilot program called Re. Re stands for Reflect, Recenter and Reclaim. 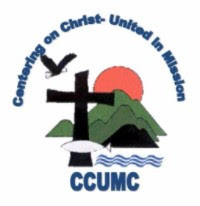 This program is geared toward clergy who have been serving five years and longer. The purpose of Re is for clergy and laity to Reflect, Recenter, and Reclaim best practices regarding physical, mental, and spiritual health. In both clergy and laity, overall health is vital to the mission of the local church to make active followers of Jesus Christ. The nine month Re program is a great starting point for both clergy and laity to strengthen the overall health of our churches. We only have one life to give to God and no matter where we find ourselves today we still have the opportunity to make good choices physically, mentally, and spiritually. 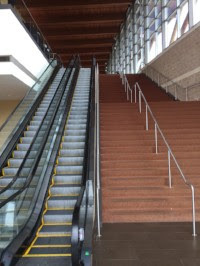 Pictured above is a look at a set of escalators and stairs located at the Branson Convention Center where our conference was held. As I was descending the stairs to begin my travels back home I took a moment to capture this picture. I believe it summed up our learning for the week to make good choices. For me the escalator represents traveling the same path or what seems easy. The stairs represent making a better choice, while more difficult to reach the top, the reward of better choices in our health is best for God’s kingdom. May we walk the stairs together.